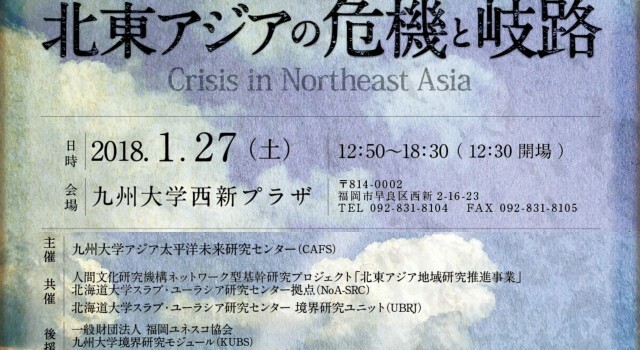 On Saturday 27 January, at Nishijin Plaza, the Center for Asia-Pacific Future Studies, together with National Institutes for the Humanities, will host a conference on the “Crisis in Northeast Asia”. 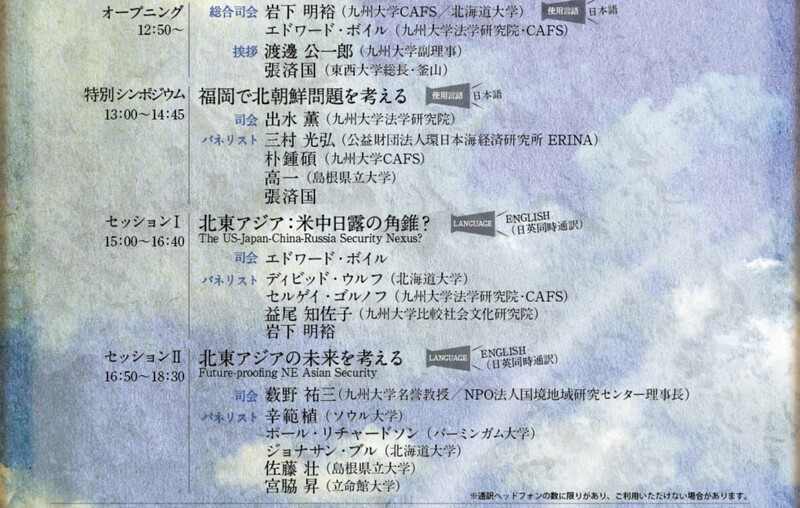 There will be a Special Symposium on the North Korean Issue, conducted in Japanese, and then two sessions on Security in Northeast Asia held in English. Simultaneous interpretation will be provided for the English sessions. The conference will run from 12:30 to 18:30 in the afternoon, and will be the last large-scale event held by the Center before it closes its doors in March.